Road Less Travelled: Being A Tourist In Delhi! Being A Tourist In Delhi! Delhi or Dilli, the capital of India. While on one side the city is always in news with headlines ranging from being extremely corrupted, highly unsafe and road rage incidents, the other side talks about the beautiful history of the place, amazing street food, the bone chilling cold winters, and of course tons of affordable street shopping options. Not to forget it serves as the base camp for all trips to the Himalayas. 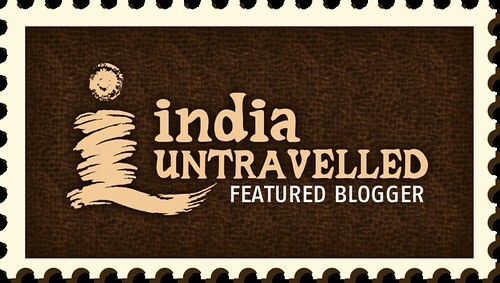 Well almost everyone who visits India would have mostly been to Delhi at some point in their lives so have we be it either for work or for our trips up North so finally we have a post dedicated to the lifeline of India. What better way to start our Dilli Darshan that with Red Fort. Built by Shah Jahan in 1638 when he moved the capital from Agra to Delhi, this World Heritage Site is today used as the venue by The Prime Minister Of India every year to deliver his speech to the entire Nation on 15th of August, Independence Day. Bang in the middle of the city is centuries old "Agrasen Ki Baoli." Also known as Ugrasen Ki Baoli, it has around 103 steps and a series of arched corridors. It is believed that the water entices people to commit suicide and the deeper one enters the well, the eerie feel is very prominent and many believe that the place is haunted. Stories apart, this place is definitely worth a visit and few scenes of the Aamir Khan starrier 'PK' movie was shot here. The age old step well is pretty well kept by ASI but is infested by Bats. We were surprised to see such a extravagant water storage facility. We were blown away walking around the centuries old 'Jantar Mantar.' It is one of the five built by Maharaja Jai Singh II from 1723 onwards. It was built to tell precise time and movements of moon and planets around the Sun, with 13 astronomical instruments in this site. The many yantras constructed here could tell the exact time to the milli second. It was such a fabulous scientific creation from centuries ago and it was unbelievable to know our ancestors were so interested and accurate about time and other planets. One of the most interesting stops in our Delhi darshan is Qutub Minar. The stunning Minar is a real treat. There are several ancient monuments in the vicinity. The Iron Pillar of Delhi is housed in the same complex and is really a wonder due to its rust resistance feature. It also houses a mosque and an inscription in Persian on the walls of the mosque states that the materials used to build it were procured from the demolished Hindu and Jain temples. A few that we could see were image of Lord Ganesha, different murtis and avatars. Several parts of the monument with the Arabic scriptures have broken off and seem to have been added in the monument later on.This monumental wonder left us with many perplexing questions. Was this an ancient Hindu temple as the architecture and building style suggests. To this day there are several concrete living, hard hitting evidence that have been attempted to destroy across India. There are several pillars that are just not Islamic style of architecture. One could see this style of architecture in temples of India. By asking these questions if we would be labeled "Right Wing Extremists" or Hindutava fanatics" so be it. Lotus Temple is a Bahai House of Worship and is open to all regardless of their religion or any other discrimination. Built in 1986, the temple consists of 27 marble clad standing petals. 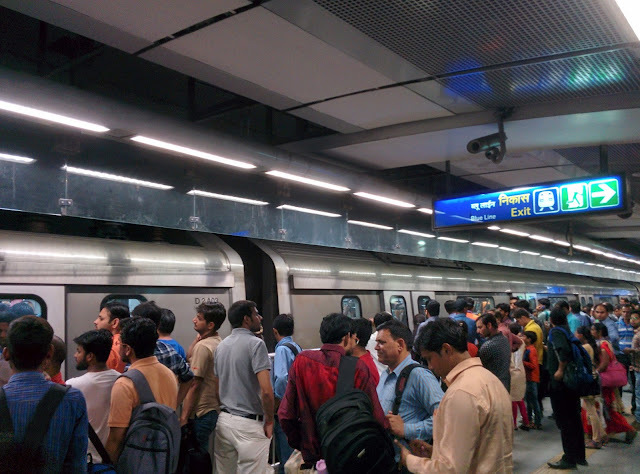 Thanks to Delhi metro, which is extremely well connected, we visited most of these places at a very economical price and not caught up in the notorious Delhi traffic, but the Metro does get very crowded and during peak hours reminded us of Mumbai local trains just air conditioned though. While in Delhi we had a typical tourist day out. 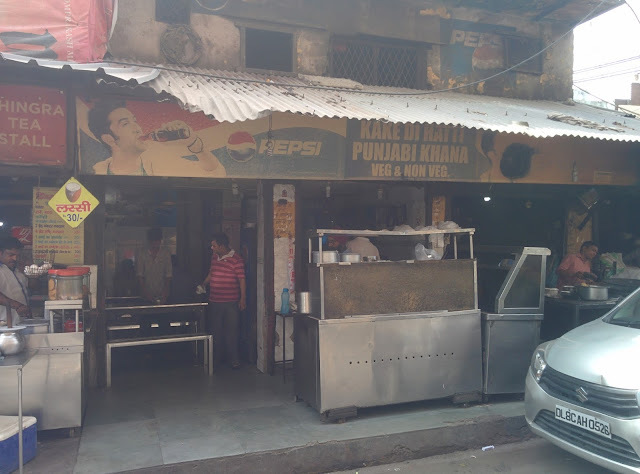 We stopped in one of the oldest Dabhas in old Delhi- "Kake Di Hatti" and the extremely friendly owners welcomed us and addressed us as 'Beta' and 'Bachchein.' The food portions were huge and even their half portions of butter rich dal makhani and chicken masala had such generous quantity. The rotis were pretty filling and yummy. A delightful heavy lunch for the two of us costed Rs. 400. For sweets and snacks we visited Banga Sweets and it is easily one of the best places to pick up sweets in Delhi. Do try their cham cham, pani puri and veg puff. While in Delhi, we checked into Hotel Hari Piarko in Pahar Ganj. Though located in a very congested and a busy market area of Delhi, we had a wonderful stay experience. The rooms were very clean, spacious and comfortable and loaded with all modern amenities. Pahar Ganj main market, RK Ashram metro, New Delhi Railway Station are all at a walkable distance. Even if you are flying into Delhi, the airport Metro rail is the best way to reach the hotel. The only downside to the hotel was a very average complimentary breakfast. One of our other stay experiences was at "Aspire India Bed & Breakfast," a home-stay in Udai park New Delhi (9810113600.) Owned and run by Colonel Sudindar Singh. The property is bang in the middle of the city in a quite secured residential area. They have very comfortable rooms with an attached bath that come with all modern luxuries. The best part about the stay is the entertaining, caring and lovable host Colonel Sudindar Singh uncle. Over a hearty and yummy breakfast we had lengthy discussions about travel, Army and India. The home stay has a wide collection of books on travel. It is very close to green park metro station. The host was very kind to give us metro travel card help plan our travel for the day and gave lot of insider information. 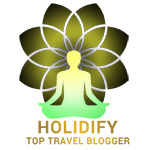 Nice account of your experience in Delhi. The city has loads to offer. Yeah true Delhi is a fun place. Nice informative post on Delhi. Thanks Rupam, glad you liked the post. Hey keep posting such sensible and significant articles. Photo Blog Of Mesmerizing Bishnupur Temples!